For this rousing espresso cake, strongly brewed coffee plus espresso powder are baked into the cake. If that weren’t enough, a coffee glaze–made with coffee, milk, and confectioners sugar–is drizzled on top. 1. Preheat the oven to 350°F (176°C) and position a rack in the center of the oven. Butter and flour a 10- to 12-cup fluted tube pan and tap out the excess flour. 2. Combine the brewed coffee and espresso powder in a glass measuring cup and let cool. 3. Sift the flour, baking powder, and salt together in a bowl. Beat the butter in the bowl of a heavy-duty stand mixer fitted with the paddle attachment on high speed until smooth, about 1 minute. Gradually beat in the sugar, then add the vanilla and beat, scraping the sides of the bowl occasionally, until the mixture is very light in color and texture, about 4 minutes. Beat in the yolks, 1 at a time. 4. Reduce the mixer speed to low. Add the flour mixture in three additions, alternating with the cooled coffee in two additions, beginning and ending with the flour mixture. Beat until smooth after each addition. 5. Beat the egg whites in a bowl with a handheld electric mixer on high speed or a balloon whisk until soft peaks form. Using a spatula, stir about 1/4 of the egg whites into the batter, then gently fold in the remaining whites. Scrape the batter into the prepared pan. Smooth the top with the spatula. 6. Bake until the top of the cake springs back when gently pressed with your finger and a cake tester inserted into the center of the cake comes out clean, 45 to 60 minutes. 7. Cool the cake on a wire rack for 10 minutes. Invert and unmold the cake onto the wire rack set over a baking sheet. Cool completely. 8. In a small saucepan off the stovetop, stir the brewed coffee and espresso powder until the espresso powder dissolves. Stir in the milk. Add the confectioners sugar and whisk until smooth. Place over low heat and heat, whisking constantly, until the glaze is warm to the touch and thins slightly. In her introduction to this espresso cake recipe, Sarabeth notes, “This is one of my late mother-in-law Margaret’s most treasured recipes.” This could easily become one of mine, too. In the interest of full disclosure, I had the pleasure of assisting Sarabeth for a demo class she presented while on tour for her cookbook. 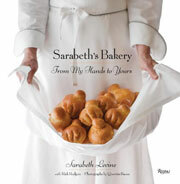 The consistent deliciousness of the recipes Sarabeth presented plus her charming way of introducing each with history and anecdotes made me eager to test this cake. My more than half dozen tasters all agreed that this cake is simple, elegant, gently flavorful, and a crowd pleaser. It's a lovely, rich, deeply coffee flavored (and colored!) cake that's excellent and equally appropriate at breakfast, tea time, or dessert. The recipe is well-organized, with the steps clearly and fully explained. Nearly each and every detail seems important to the success of the cake. Sarabeth notes the importance of both the HOT brewed coffee and the combination of the two instant coffees to give the cake its distinctive “proper” beige color. I trusted that these details were integral to success, and I was rewarded with a delicious cake. I did bake the cake for the full 60 minutes because at 55 minutes it was not quite fully baked. After letting it cool (nearly) completely, we made the first cut into the cake, and it had a beautiful, even crumb and a lovely, almost fluffy, texture. Sarabeth notes the cake makes 12 servings and could be stored, plastic-wrapped, for up to two days. Whether this would ever serve 12 or hang around long enough for two days of storage is unlikely! About Margaret, Sarabeth says, “when I make this cake, I think of her and smile.” When I made this cake, I thought of Sarabeth and smiled, as I will do each time I make this cake. This espresso cake recipe turned out quite good. The espresso flavor in the cake is certainly evident though it still could be amped up a few notches, perhaps with more espresso powder mixed into the coffee mixture. I had a wee bit of trouble getting the cake out of the pan, even though it was thoroughly buttered, floured, and cooled, but once the cake was glazed any small uneven spots were masked. I was expecting the cake’s crumb to be a little more moist—it isn’t dry by any means, but maybe adding a few more tablespoons of the coffee mixture would moisten it up. I did have to look in more than one store for superfine sugar and instant espresso powder, so these ingredients may be more difficult to locate in some part of the country or in rural areas. The first time I made this espresso cake recipe, I followed it to a T. It certainly is a cake for coffee lovers—and it's so very good! I used the full 2 cups sugar in the coffee glaze and for my taste it was overly sweet and overpowered the cake. The second time I made this, I treated the recipe as an espresso bread and instead of using a fluted tube pan I used 3 loaf pans. I didn’t bother with the glaze and it came out absolutely amazing after just 40 minutes of baking. This is a coffee lover’s dream cake. It has a very rich, deep, coffee flavor that’s balanced by sweetness. The espresso glaze enhances the moist cake—but it was incredibly sweet. Next time, I’ll reduce the sugar to 1 cup, which would also help cut down on the extra glaze that I found to be too much for the cake. If you’re not a coffee drinker (and I’m not), be prepared for the caffeine in this cake, as it packs a wallop. It actually kept me awake! I made this gluten-free, and I was quite happy with the texture of the final product: light, moist and smooth. What a fun cake to make and eat. The ingredients came together easily and without any fuss. I used espresso powder mixed with boiling water in both my cake batter and glaze. The result was great. The finished product was a beautiful, two-toned, moist, deliciously balanced, sweet, lightly coffee-flavored Bundt cake. Once baked, the cake came right out of the pan without any problem. The glaze added an additional flavor dimension. It looks like so much more work than it actually took. To get a substantial glaze that would adhere to the surface of the cake, I used 1 1/2 cups confectioners' sugar. Espresso Cake Recipe © 2010 Sarabeth Levine and Rick Rodgers. Photo © 2010 Quentin Bacon. All rights reserved. All recipes and photos used with permission of the publisher. Tamiko, what flour mix did you use to make it GF? Or did you make your own mix? Hi Zanne! I used my own blend that is a combination of a variety of whole grains and starches. I find this makes a better baked good than using just the rice flour/starch mixes. I don’t like the mixes/blends with white rice flour as the main ingredient. I have not made many of my own mixes yet, as it was hard for me to get some of the ingredients (I’m in a rural area), but that is changing now. I just don’t relish the thought of trial and error–a lot of waste of time, money, and supplies. I’m on a tight budget and need to make things I know will work–experimentation will have to wait. Would you be willing to share your blend recipe? My husband is GF and like Zanne I’m on a tight budget. Zanne and Melody, one of our most experienced recipe testers went gluten-free about a year ago, and she’s been doing quite a lot of GF baking. She’s found that in standard cake recipes, Bob’s Red Mill All-Purpose GF flour works beautifully. Just in case this helps you…. This cake looks beautiful and the espresso must be tasty. This would be perfect for my father-in-law. A New Year’s treat for him. Does anyone know where I can get espresso powder? I can’t find it anywhere in Central PA, not even at specialty or natural foods stores. Sure, so. You can buy it here. This is the brand I use. Wouldn’t it be easy to find this in an Italian Deli? Zanne, it would be, but Patty says she can’t find it anywhere, so I suggested online. Patty, do you have Italian deli where you live? Hope I didn’t step on toes–I wasn’t being snarky or dense–just that sometimes the logical local place is overlooked. I would call around to any Italian deli within a certain radius and they would probably send it if necessary. I used to get my Asian food supplies that way when I first moved into rural Virginia. And the other reason I mentioned it is that ordering online requires you to buy A LOT of espresso powder. I do order some things from Amazon, but it’s a killer if you only need one or two things. There are also some online sites that specialize in ethnic foods of all nationalities (sorry, can’t remember the sites) and you can order single items. Zanne, not in the least! I thought online because, being a typical New Yorker, I never think anywhere but NYC has Italian delis. It is not worth the time or effort. Cake looked nice and was very moist but it had a very mild coffee taste and it was a little strange. Chris, I’m sorry you didn’t have the same reaction as the other commenters. I’d love to help you: The mild coffee flavor can be fixed by adding more espresso powder, to your liking. Can you tell me what you mean by “a little strange”? I made this cake last night, not without a couple of mistakes. First, I halved all the ingredients in the recipe to bake the cake in an 8-inch round pan but forgot to halve the espresso powder. Second, I accidentally left out the part where egg whites are whipped, beating the whole eggs into the batter instead. Whoops. Regardless, the cake was still very moist and delicious; I even love the extra-strong coffee flavor. It was a little on the sweet side, so next time I might cut the sugar back by 1/4 cup. An, it’s hard not to love a cake that titillates even when there are whoops involved, yes? So glad it’s a keeper of a recipe for you! I made this cake and it came out really nicely! I skipped the part about separating the eggs because I hate doing that step but I made sure to beat very well after adding each egg. The cake was light and moist, really delicious. I think the coffee flavor is just right. It was enjoyed even by people that are not that into coffee because it is so pleasant. I did not make the glaze but instead used a chocolate ganache glaze (actually from the sour cream chocolate bundt cake from this site) because I love chocolate and coffee together. It was very good, but I think it would even be lovely with just a dusting of confectioners sugar since the cake is sweet and delicious on its own. Thanks for this nice recipe for a cake that is a little bit out of the ordinary! You’re very welcome, Judy. We’ve heard from many people who’ve made this lovely cake from the Sarabeth’s Bakery that it has just the right hint of espresso. And do let us know when you try the rest of the Chocolate Sour Cream Bundt Cake recipe, Judy. Folks are raving…. So simple and so delicious! I made this as described, with instant espresso granules and in a bundt, and used espresso rather than ‘regular’ liquid coffee where the recipe calls for liquid coffee. One taster said it reminded her of Häagen-Dazs coffee ice cream: the definite but delicate coffee flavor, the ultra-smooth texture, the suggestion of creamy richness….I often make bundt cakes, yet this cake’s texture was such a lovely surprise–it is moist but not dense, dry but not at all crumbly, firm yet yielding to the fork and tongue–all this in a positively delectable way. The cake seemed even better the next day, and by the third day? Well, I can’t tell you. It was already gone. Hi Polly, kinder words have never been spoken about a recipe! So glad that you enjoyed the cake. I haven’t tried this yet, but I have a question about method. The recipe uses chilled butter, but I always let my butter come to room temperature (along with the other ingredients) for creaming. Why the difference? Usually you don’t see the specific requirement for chilled butter when it’s going to be creamed. Hi Susan, creaming cold butter helps to create fine air bubbles that contribute to the structure and rise of the cake. Let us know if you try this method, it might become your new favorite. I’ve learned something today! Thanks for the reply–and the best part is no waiting for the butter to come to room temperature! Thanks, Susan. Keep us posted! I need to make a bacon shaped, coffee flavored cake (odd combination, I know) for a friend’s birthday party. Would this recipe fit in a 9×13 in pan? If so, what would you guess the cooking time to be? Thanks! Hi Melissa, this recipe calls for a 10-to-12-cup capacity tube pan. A 9-by-13-inch pan has a capacity of 14 cups. You’re going to end up with a thinner cake that bakes faster. As far as actual times, I’m reluctant to guess since we only tested it using the tube pan. I would use your cake tester and look for visual clues, when the sides begin to pull away from the pan and the top springs back. Let us know if you give it a try, we’re real curious about that bacon shape. Followed the recipe exactly as written yesterday and surprised my dad with it today for his birthday because he’s a coffee lover! The batter is rich, foamy, and fragrant even before baking, and is moist but not too crumbly when sliced. I was close to overbaking it so the outer crust came out a bit dry and chewy, however, the coffee flavour and sweetness hits the spot for us! I would omit the glaze and maybe add an extra dash of espresso powder next time! Tracy, do you have two oven thermometers? Your oven may run a bit hot. I have to check mine occasionally to make sure it’s on the money. And so glad that you liked it. Please tell your dad happy birthday! I grow up eating espresso cake, its the best cake of heaven. i love it. Thank you, Leite’s Culinaria for sharing your recipes. Sincerely, Isidro Cazares Jr. Awesome recipe! I skipped the bit with separating the eggs, and just threw them in. I also used softened butter instead of chilled butter. Came out perfect and tasty. Rachael, terrific to hear that you like this recipe as much as we do. And love that you took a shortcut and still liked it. I’ve tried using this recipe twice now and I cannot make it work- It’s edible and will get sliced up and frozen but that’s about the best I can say about it. Can’t figure out where it has gone wrong for me except it seems to have far too much raising agent. Maddee, I’m sorry to hear this recipe didn’t wow you in the way it did us. Can you tell me more specifically what you were disappointed in—the taste or texture? Did it simply not have as robust a coffee flavor as you desired? One thought is how strongly brewed the coffee is that you used, as the coffee is the primary flavoring agent, unlike many coffee cakes that are emboldened with spice or chocolate. Also, if you used instant coffee powder in place of instant espresso powder, the flavor will be far less rich and robust.